Danganronpa 2 retains a large proportion of what made its predecessor great which should immediately tell you that it’s worth your time. It features the whole bunch of characters with strong personalities that clash with one another beautifully, the series of gruesome murders and wonderfully complex mysteries to be solved, and the mysterious agents and events lurking behind closed doors that are just waiting to be exposed. 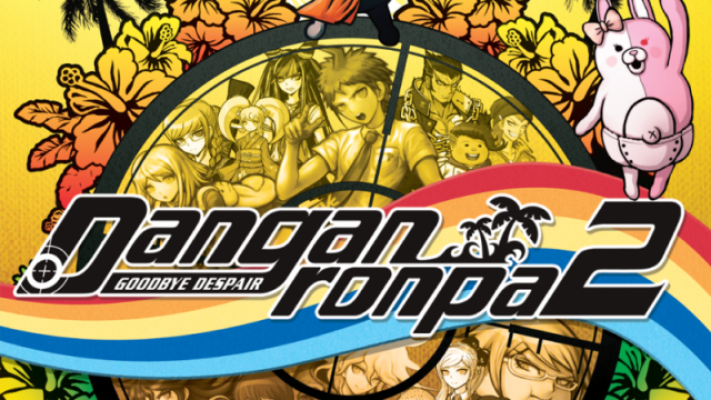 It’s a lot of fun to play and does right by the franchise it continues but, in the end, I have to admit that it doesn’t stand quite as tall as the original Danganronpa for a number of reasons. One of those is simply that it’s the second game in the series. The vast majority of players already know what’s coming so a lot of the initial impact that made the first game stand out is lost, though that can’t be blamed on the developers at all. Some of that flows over into ability to bond with another set of sixteen characters after the first lot, though I imagine that would be hugely variable between experiences as the characters themselves are just as interesting and diverse as their previous counterparts. Having said that, the protagonist was even more generic than his predecessor and that does have a detrimental effect on the player’s ability to care about the events he’s going through. Second to contribute to the differences between the most recent and initial installments, and something that I can blame on the developers (if not with any hard feelings), is a change in atmosphere. The first time around I was damned scared about what was going to happen to me; characters were terrified to go out at night and trapped in a tiny environment, anyone could stab you in the back without warning and, perhaps most importantly, the main antagonist supplied what was essentially blackmail to ensure that the advent of murder was always a question of when rather than if. I was always cautious, always aware and always entertained. DR2, by comparison, is downright relaxed, being set in a comparatively open area with relatively non-threatening characters and a lack of any real reason to kill. Sure I knew that someone was going to die because that was just how the game worked, but the feeling of suspense that had defined Danganronpa was mostly absent and that made a significant difference to my feeling of immersion and therefore enjoyment. The last major changes I want to talk about lie firmly in the realm of “different” rather than “better” or “worse”. 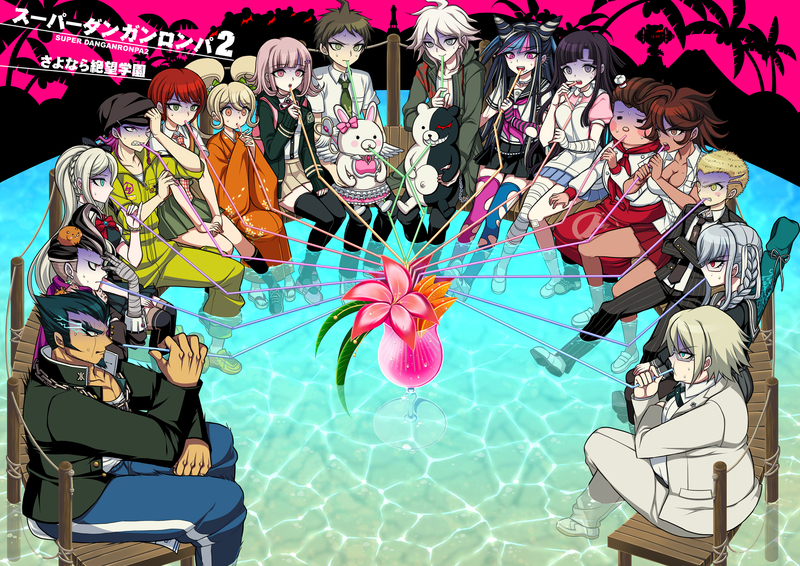 Danganronpa 2 continues with the series of minigames used to debate cases during class trials, making a few alterations and two new additions to the mix. In Rebuttal Showdown you argue against classmates by destroying their arguments with a limited number of “blades” before finishing them with a piece of evidence that refutes their points. While novel, the game progresses so quickly that you often do not have time to read what your opponent is saying or even look through the evidence available to you; it was probably my least favourite game overall. In Logic Dive you control a virtual snowboarding copy of the protagonist as he traverses obstacles and makes route decisions based on the answers to questions. While I felt that the snowboarding portion didn’t add much to the game it did serve as a good break in between brain-wracking Non-stop Debates. As was the case with the original class trials, you often find yourself playing a game of “guess what I’m thinking”, meaning that your line of thought (however correct it may be) won’t get you anywhere if it’s not exactly what the developer was thinking at that point. I can’t offer any suggestions for what might be done to fix that but it’s one of the most frustrating aspects of the entire game. 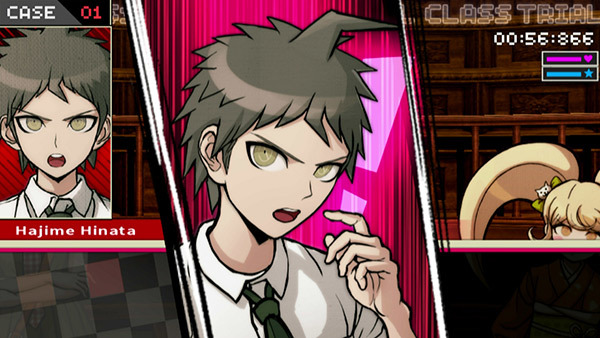 Where Danganronpa 2 pulls ahead is probably with its visual aspects. While I bagged on the setting earlier it is nice to be exposed to a series of unique areas within the tropical island (and I should probably admit that the game makes fantastic use of its new locations during the murder investigations). Each new place you visit serves to freshen up the experience. The franchise’s distinctive art style looks great on the PSVita and I really don’t have any complaints in that department. As per usual, only portions of the game are voiced and the VAs have done an awesome job. When we get to the BGM there’s a mix of old and new tunes that work to set the mood for each scene and I have to say that they realize their purpose with style. Summary – Super Danganronpa 2: Goodbye Despair is an excellent follow-up to its fantastically unique predecessor and if you’re a fan of the series you need to play it. The wonderfully complex cases and fascinating overarching plot should be more than enough to satisfy your need for more Danganronpa. 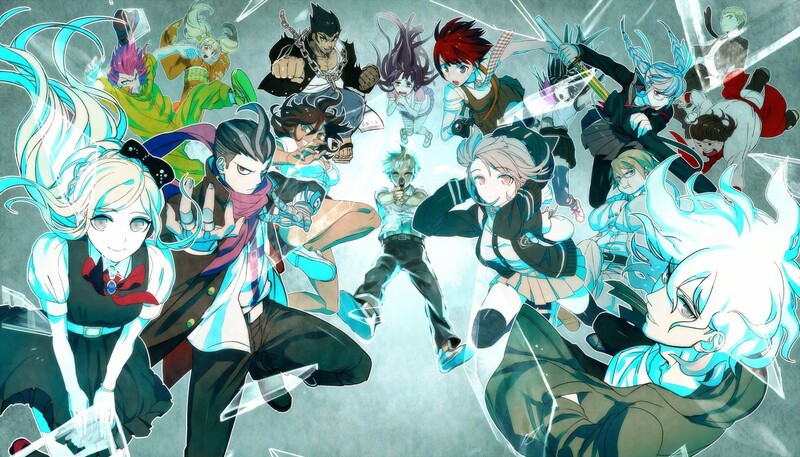 It’s worth noting that there are some issues, most notably in cultivation of a tense atmosphere, that hold it back from the full score I gave the original but it is 100% worthy of being called its sequel and I can’t wait to see what Spike Chunsoft brings us next. 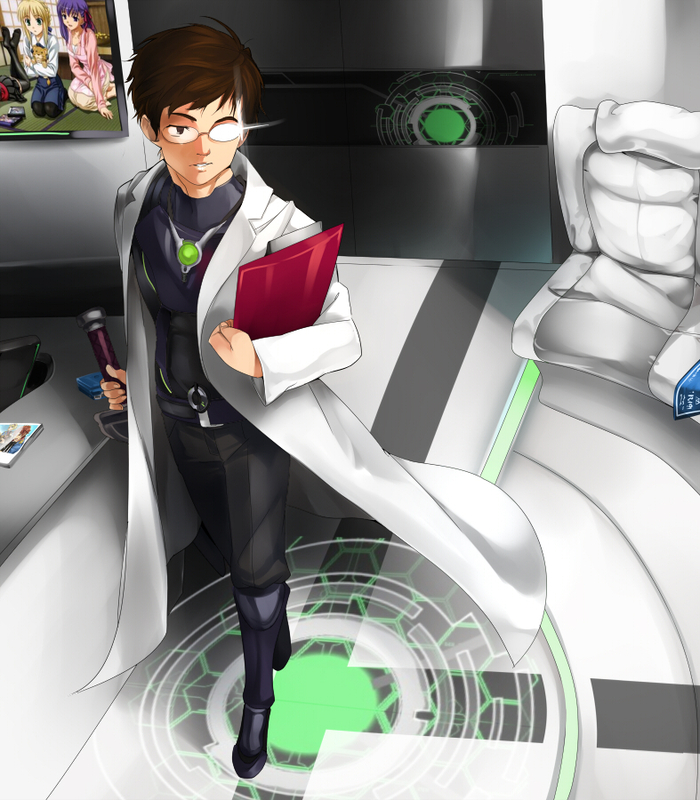 This entry was posted in Reviews, Video Game Reviews, Visual Novel Reviews and tagged dangan ronpa, danganronpa, goodbye despair, playstation, ps, sayonara, super, Video Game, vita, vn.visual novel. Bookmark the permalink. Although they probably suit the game, outside of that context the characters look pretty ridiculous and, although that’s the point, it’s one of the reasons the anime was panned a little bit. If anything I’d be more interested in the twist. The last game had ones that completely changed your outlook of the setting and character. There are twists, certainly, though I would say they didn’t have the same impact as the first for me personally. DR1 was a hard act to follow and the sequel manages to stand up despite that, so i’d say it’s worth going for a Let’s Play (since I assume you would watch rather than play). Think we talked about this before, but yeah, I agree with the fact that DR2 seems more relaxed and characters less threatening (except a certain one :p)-DR2’s cast seems to be more focused on camaraderie than it is actual betrayal. Personally not a deal breaker for me though, as I still love the game. Any chance you’ve been able to play Another Episode?